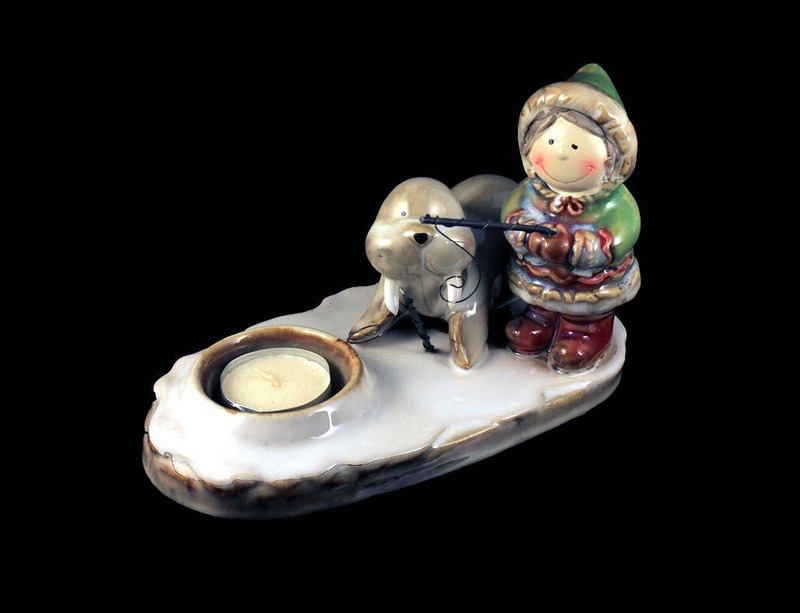 A cute Eskimo and walrus tea candle figurine by Yankee Candle. 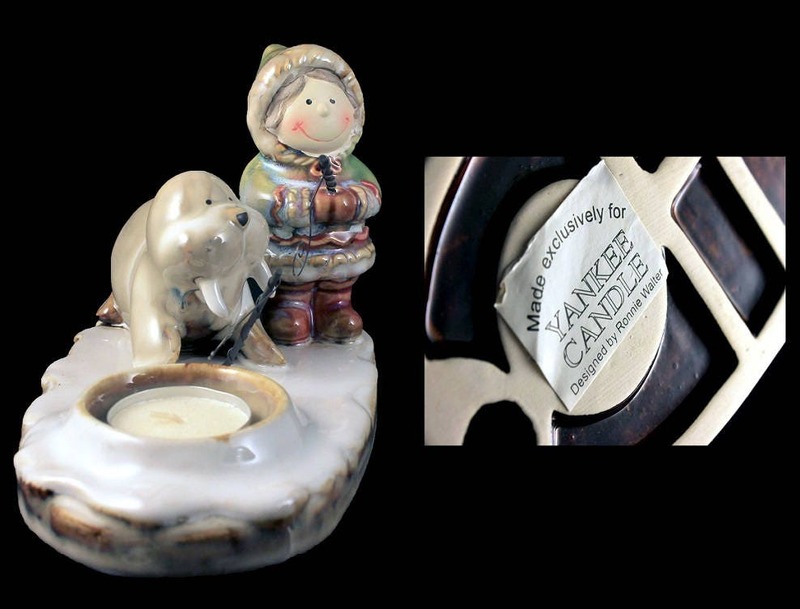 A white tea candle is included. 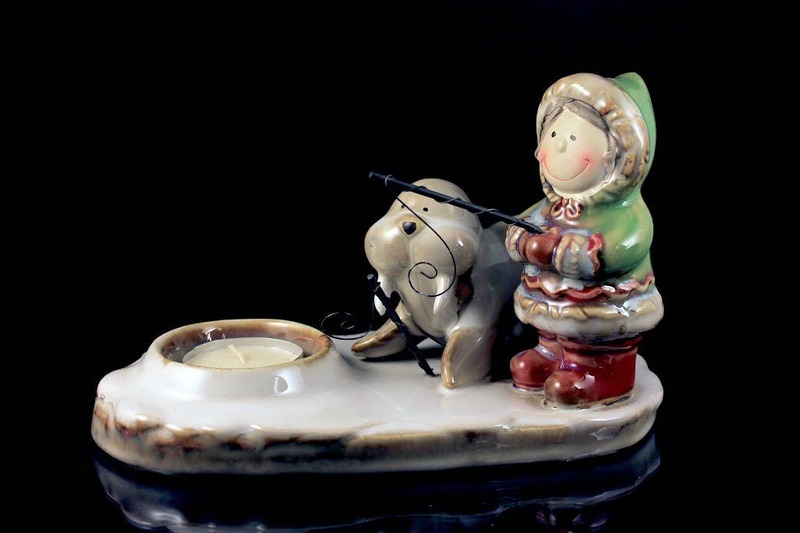 This would be a great addition to your holiday decor. Or just to enjoy anytime. 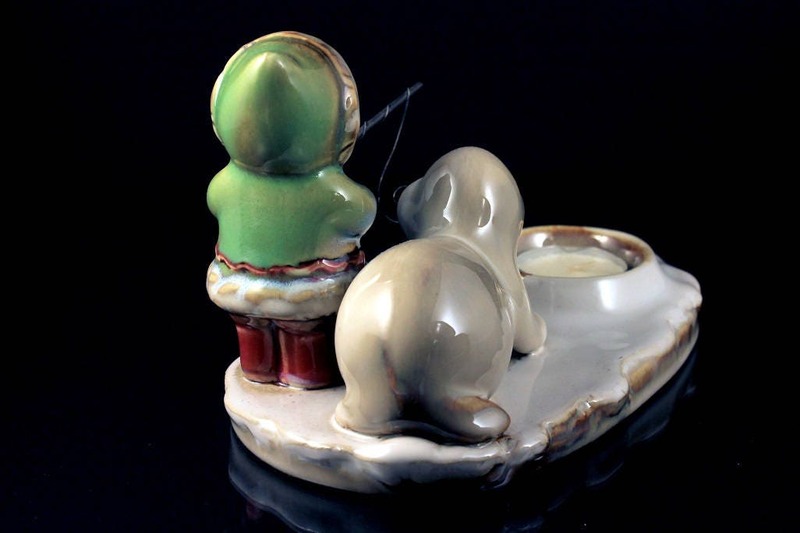 This charming tea candle holder is in excellent condition. There are no chips, cracks, crazing. 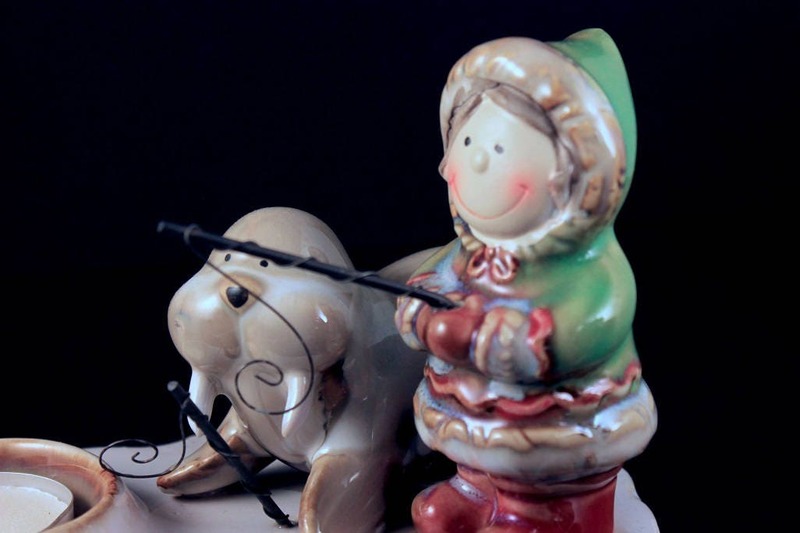 A perfect addition to your home decor for the holiday season or a great gift idea.